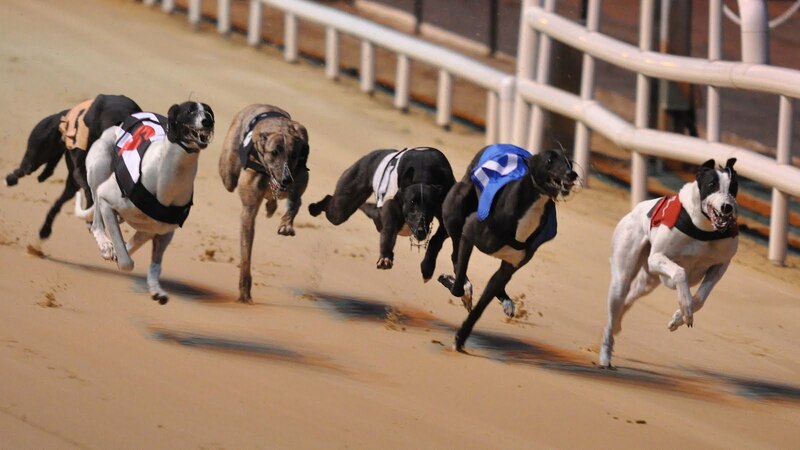 Show your support for your favourite Derby Finalist this weekend in aid of the Irish Retired Greyhound Trust. Rosettes supporting each of the finalists will be on sale in Shelbourne Park on Saturday night at the Final of the BoyleSports Irish Greyhound Derby. 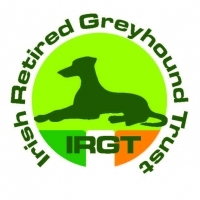 Priced at only €5 all money raised from the sale of the rosettes will go directly to the Irish Retired Greyhound Trust, with the rosettes themselves paid for by the IGB Marketing department. Last year, a total of €1,250.65 was raised for the Irish Retired Greyhound Trust through sales of rosettes and donations received at the Derby Final. **Let's treble that this year!! 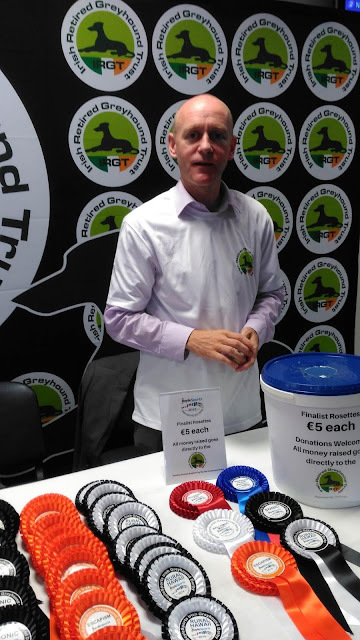 Barry Coleman, Welfare Manager at the IGB, manning the IRGT stand at last year’s Derby Final. Hi Kerryside, there will be a stand just inside the entry stalls at Shelbourne on Saturday.